Considering the complexity of today’s service environment, Small-to-Medium sized Enterprises (SMEs) cannot afford to accept the status quo of service operations, and therefore, they must have some clear business analytics objectives to reach. Without clear metric objectives, organisations are almost destined for disaster since the allocation of resources may not have responded to the demand exerted from outside of the organisation. This is particularly true within a complex and rapidly changing cloud computing environment. The cloud dynamic ecosystem is moving toward a collection of services which interoperate across the Internet. 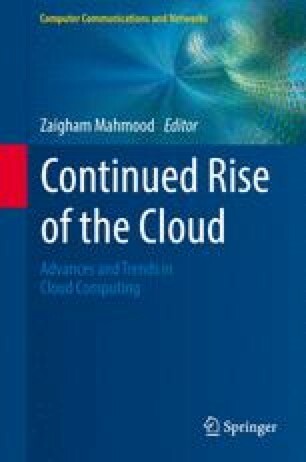 This chapter offers a discussion on an approach to assessing cloud capabilities through cloud service capability assessment framework (CSCAF). Service metrics play a critical role in CSCAF that presents managers with a practical framework to carry out cloud capability assessments. The process may be simply described as publishing, retrieving, and managing cloud service descriptions, service publications which are matched with descriptions of consumer’s requirements and service matching. This research was undertaken at the Irish Centre of Cloud Computing and Commerce (IC4) and funded by Enterprise Ireland and the IDA.